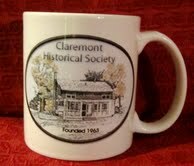 The Claremont History Museum will be opening for the Season on June 15- check out our calendar page for this summer's programs. 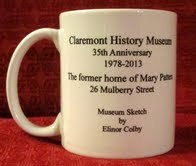 A new mug has been issued to commemorate the 35th anniversary of the Claremont NH History Museum. The Claremont NH Historical Society was selected by The Association of Historical Societies of New Hampshire as the recipient of the AHSNH Award for Local History in the Public Education Category. Learn more about the award.